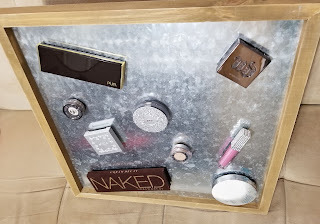 I've got another makeup storage/decoration idea for you! As I mentioned before, I've been decorating my new makeup studio. My business partners came up with a great idea to display makeup - through a magnetic bulletin board! It's like a jumbo magnetic palette on a larger scale! 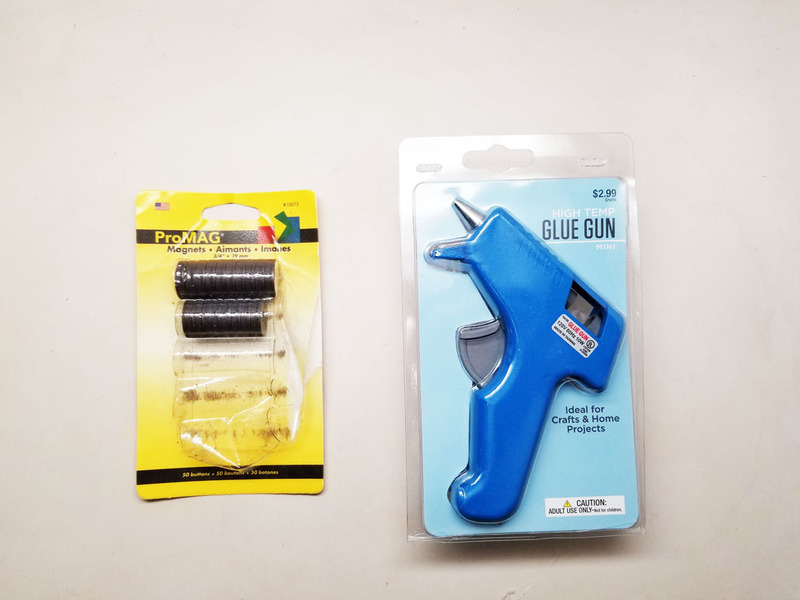 Dig out your handy glue gun, you'll need it! Also, get some good magnets. These magnets come in circles and they're pretty thick meaning they have a lot of power to hold up even larger makeup palettes. I bought mine at Michaels. Pick whatever palettes you want to display. I went for anything that was metallic like golds, silvers and bronzes because I thought they'd look pretty on display. Another idea is to take your favorite makeup palettes and products and keep them on one board so they're within easy reach. 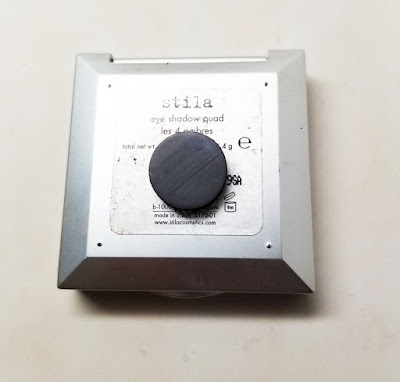 This small Stila palette only needed one magnet but I'd use two or more magnets for larger palettes. Simply put a dot of hot glue on the magnet and stick it on the back of your palette. 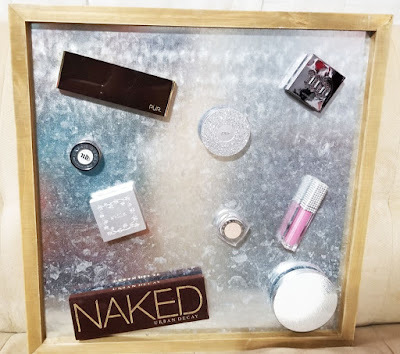 Then rearrange the palettes on your metal board and they'll instantly stick. Remember to pick good magnets so you don't have any makeup spills. Hope you guys enjoyed this craft project. More coming soon!